The CCAC Cape Cod Marathon relay teams posted top finishes in Sunday’s marathon but not quite top enough to edge the Wampanoag Road Runners who took home the inaugural Cape Cod Invitational Marathon Relay Cup. Team Merrill finished 5th overall and 3rd in the Men’s Open Division in a time of 2:52:13 followed closely by the Mixed Open team who had blazed the way for them through much of the course. 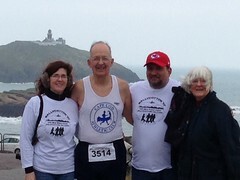 The Mixed Open team finished in 2:58:55 for 12th place overall and 2nd in the Mixed Open Division. Conveniently, the first place Mixed Open team MLB Cancer Center opted to participate in the Corporate divisions, opening the door for CCAC Coed to take home the 1st place division medals. The CCAC Women wrapped up their race in 3:37:26 in 59th place out of 194 finishers which was good for 8th in the Women’s Open Division. With a combined score of 76, WAMP’s total tally of 36 (Men – 4th, Mixed – 14th, Women – 18th) pushed the CCAC to second in the Cup competition followed by Colonial Road Runners at 150 points and Falmouth Track Club at 176 points. With a successful trial run, we hear the Falmouth Track Club is considering expanding next year’s Invitational Cup competition to more clubs which will make the Marathon Relay one of the hottest competitive club relays on the east coast. On Friday, 10/20, I deposited a check for $450 in the Brazil kids’ education fund account at Cooperative Bank of Cape Cod. The funds came from Without Limits Productions, organizers of Sprint II Triathlon, in recompense for work of our volunteers on September 7 & 8 at Craigville Beach. Thanks to the following club members and others who gave of their time and effort: Joanne Corsano, Mary Duchesney, Lucy Duffy, Cathy Garry, Antje Hennings, James and Anna Poplasky, Andy Scherding, Chris Segura, Kris Tholke, Joe Weinberger, Laura Woods, Connie Worgan. Beth Brazil and her children also pitched in. Congratulations to Sue Eastman for completing the Hartford Marathon in 4:51 and change, as they say. It was her first race at that distance. 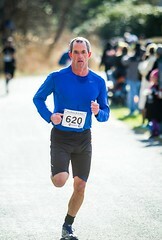 And Vice President, Howard Tansey, for running 105 miles on a 100-mile course in 19&1/2 hours. The Weary Travelers race starts at 10:30; club sponsored races start at 11:00. Additional details will be provided on postcards mailed to all members later. Entry fee for club sponsored races, except the last one, will be $10. Weary Travelers fee is $12 pre, $15 race day. Chatham Harbor in Winter will be open to non-members and will be promoted broadly; the entry fee is TBD. The objective is to satisfy the desire to have a major CCAC-sponsored race and generate funds for our treasury. There may be a worthy cause to support also. Club membership renewals commence with the December 2 Grand Prix race at Campari’s. The annual awards banquet will be held on February 2 or 9. 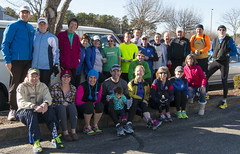 Reminder: Kevin’s 10-miler is February 3. If you are not racing that day, go cheer on our colleagues. At our October monthly meeting, we discussed the possibility of becoming involved with sponsors, as triathlon clubs, biking clubs and other running clubs are. The directors will be looking into the appropriate club policies for such arrangements, primarily to keep us within the laws pertaining to non-profit organizations and to preserve our innocence. We need a committee of members interested in our pursuing such affiliations to work on putting together what it is we have to offer in return for what. Anyone willing to serve, please contact me. I plan to contact the Boston Marathon organization to ask if they would have a specific work assignment for us, were I able to round up some volunteers to show the CCAC flag. Still nothing from there about waivers. Janet Kelly has been profiled in the Nov/Dec issue of Cape Cod Life. The article focuses on 3 Cape Codders who continue to hit the outdoors over the winter to train, play and have fun. Check it out! 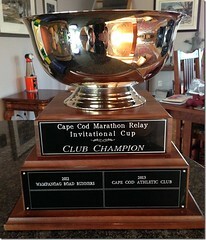 On Sunday morning, at 8:30 AM, the club’s finest will be toeing the line in the inaugural Cape Cod Marathon Relay Invitational Cup. Up against the Falmouth Track Club, Thirsty Irish Runners, Wampanoag Road Runners, Greater New Bedford Track Club, and Colonial Road Runners, the CCAC will be contesting this race-within-a-race-within-a-race in the men’s, women’s and open divisions. Representing the men, Team CCAC Merrill is a family affair; Barry, Michael, Ken, Colin and Kyle Merrill aim to tear up the tarmac and leave the remaining teams running on dirt. The women’s team of Mary Duchesney, Sue Shanley, Heather Manuel, Rachel Young and Megan Sabatinelli will be snapping necks as they streak by and the open team of Geof Newton, Ray Botelho, Paul Hufnagel, Kate Heaslip and a to-be-named secret weapon will so far ahead, the other teams won’t even know that we were there! 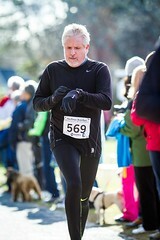 Come cheer the marathon, the relay teams and the spectators at the 2012 Cape Cod Marathon – and best of luck and good runs to all contesting races this weekend!